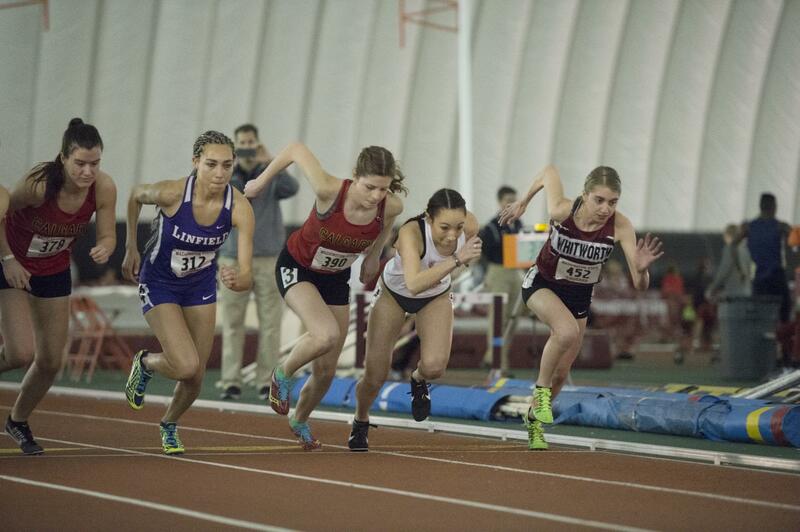 WSU freshman distance runner Pia Richards, second from the right, competes in the Cougar Indoor on Feb. 3. 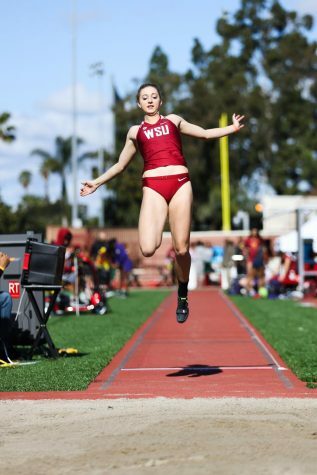 As the indoor season approaches for WSU Track and Field, the team is preparing for the Mountain Pacific Sports Federation Indoor Championships this weekend. 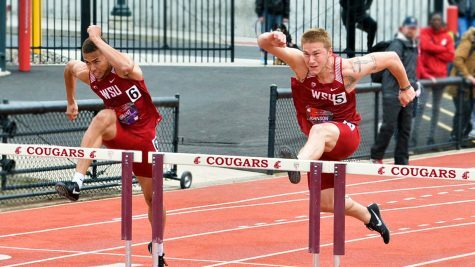 Head Coach Wayne Phipps said the team is using the MPSF meet as a dress rehearsal for the Pac-12 Championships during the outdoor season. 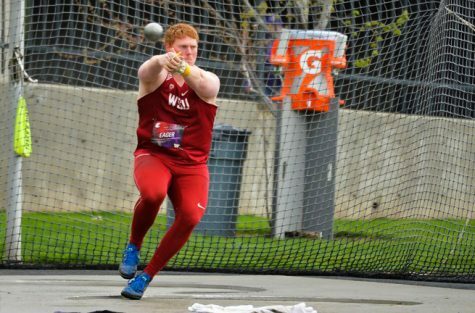 One of the athletes that caught Phipps’ eye ahead of the meet is redshirt junior thrower Brock Eager. Eager competed at the Husky Classic earlier in the month. He finished second with a mark of 20.17 meters. 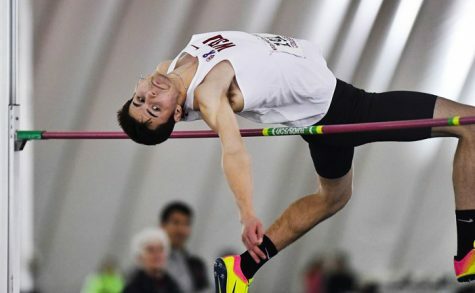 His personal best mark is 20.74 meters, good for 27th best nationally and the top mark heading into the MPSF meet. Redshirt senior Alissa Brooks-Johnson will compete in the pentathlon and a relay event, and possibly in an additional individual event. 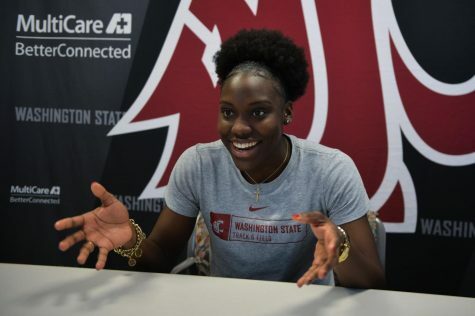 Most recently, she competed at the Don Kirby Elite in Albuquerque, New Mexico, in the women’s high jump and women’s long jump. Phipps said the coaching staff is making sure Brooks-Johnson is well equipped for this meet and the NCAA Indoor Championships in two weeks. 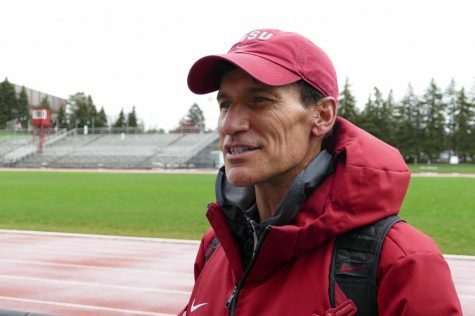 “It’s more about our preparation leading up to the meet,” he said, “so it’s fine tuning what we’re doing in the week before to make sure she’s on really point for the NCAA meet.”. 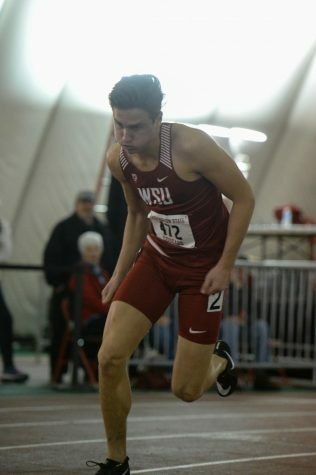 The Cougars will be competing in the men’s and women’s distance medley relay at the MPSF, and most recently the women’s medley team finished first at the Husky Classic. 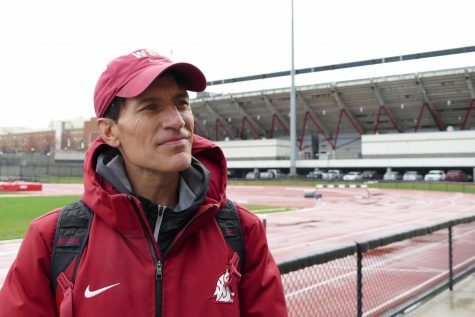 “I think the distance medley relay team, despite going against maybe two or three of the top teams in the entire nation … it’s going to be very competitive and we’re very excited about that race,” Phipps said. The meet will begin at noon Friday at the Dempsey Indoor in Seattle and continue 1:0:30 a.m. Saturday.